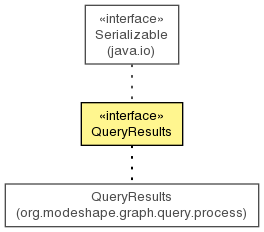 The resulting output of a query. Definition of the columns that are available in the results, which outline the structure of the tuples in the results, and which can be used to access the individual values in each of the tuples. An interface used to walk through the results. Get the description of the columns contained in these results. Get a cursor that can be used to walk through the results. Get a description of the query plan, if requested. Get the problems encountered during execution. Get the number of rows in the results. Get the statistics that describe the time metrics for this query. Get the actual tuples that contain the results. Return true if there is at least one error recorded in the problems. Return true if there is at least one warning recorded in the problems. Get the description of the columns contained in these results. These columns can be used to discover the indexes of the corresponding values from the arrays representing the tuples. Get the actual tuples that contain the results. Each element in the list represents a tuple, and each tuple corresponds to the column definitions.